Here's a Great Idea for How to Properly Wear An OFT Shorty Pocket Watch Chain. 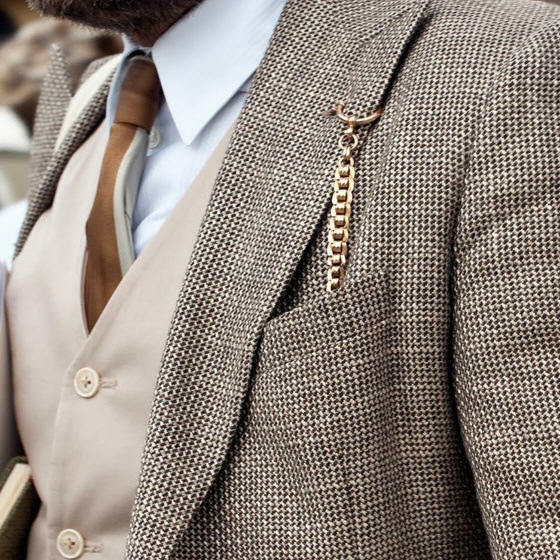 If you're not fond of wearing the longer chains draped across the vest, this is a wonderful way to show your pocket watch enthusiasm and flair, and also have quick access to your timepiece. Give it a try.